As soon as one of my best friends told me she was pregnant, there were a million “ohhhhs, ahhhhs, and yeaaahhhhhs” … and then several minutes later, I told her I wanted to throw her baby shower! I had such a fun time planning all the small details and making it a special, memorable day for her. 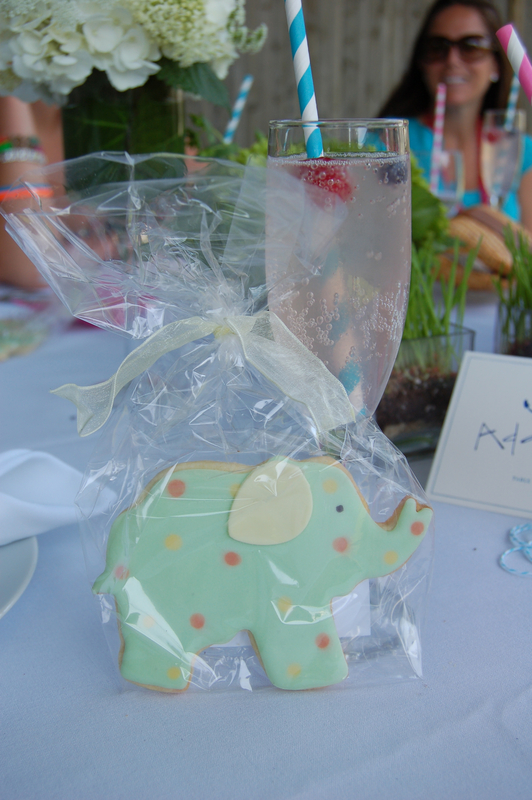 Below are images from the day with tags of all the vendors that I used to create the perfect baby shower! Anyone that knows me, knows that I am obsessed with handwriting, calligraphy, fonts, etc … Anything that is different and unique. Jessie from Mr. Boddingtons always sends little notes in the packages that she mails to me, and I have always been a huge fan of her handwriting. It’s unique and fun! Instead of using my calligrapher, I thought it would be fun to ask Jessie to address the place cards. Of course we had to use Mr. Boddingtons place cards for the event!! Every guest had a different motif at the top of their card! You can also see in the background the cookies that I had made for the shower. I used Annie from Annie’s custom cookies to create animal shapes. Each was tied in a cellophane bag with a matching colored ribbon. Again, no detail went unnoticed! Notice that with each drink there was a stripe straw in it! And since we didn’t know whether it was going to be a girl or a boy, we made sure each drink has a raspberry (pink … girl) and a blueberry (blue … boy)! 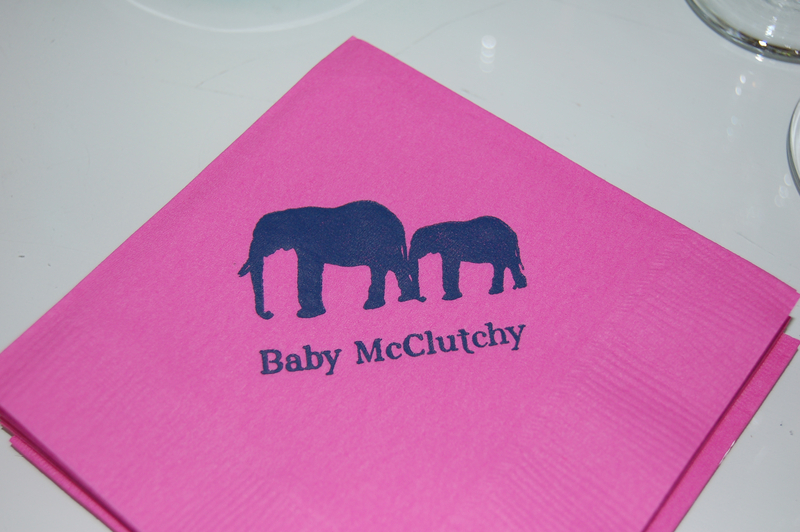 I don’t have a good picture of the invitation, however, will post as soon as I have one … but I made sure that the napkins matched it perfectly! Such a fun little touch that made the shower that much more personal! I will try to add more pictures as they come streaming in … but a big thank you to Adare Kiely for taking these and being the photographer of the day! 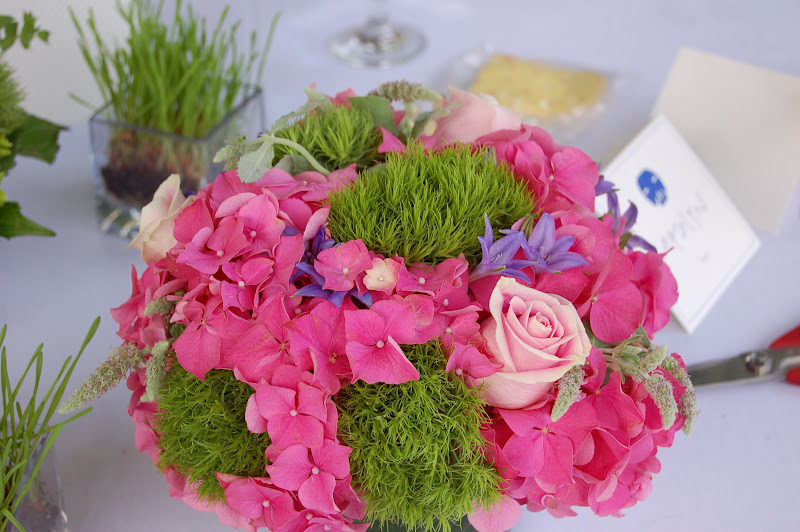 Also a big thank you to Greens of Greenwich for making the flowers for the table absolutely exquisite! !